The Joint Comprehensive Plan of Action  (JCPOA) reads as a remarkable document. (Here’s a useful fact sheet .) If fully implemented, it’ll prove an historic triumph of diplomacy—one that significantly reduces the likelihood of an Iranian nuclear weapon while helping to re-integrate Iran back into the community of nations. The key objectives of each side are well-known. The US wants to keep Iran’s nuclear latency to at least one year—that is, how long it would take for Iran to race to a bomb. The Obama administration considers this to be enough time for an Iranian nuclear break-out attempt to be detected and thwarted. Nuclear latency is mostly guesswork, based on a combination of how much fissile material is currently stockpiled, and how rapidly any new weapons-grade material may be produced. The JCPOA assesses Iran’s current latency to be just two to three months. This reckoning is extraordinary and probably untrue, having been overstated to extract greater concessions from the Iranians to roll back its existing program. 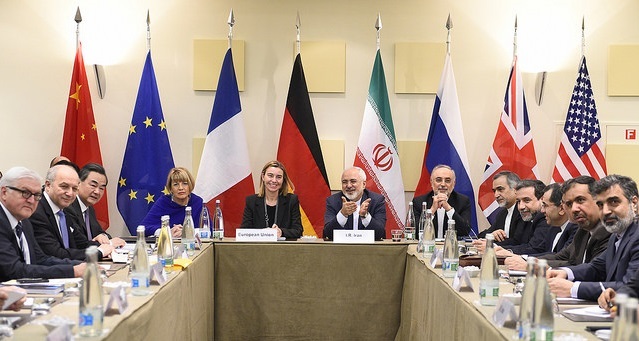 In this endeavour the JCPOA exceeds all expectations. For at least the next 10-15 years Iran has agreed to dramatically reduce the number of spinning centrifuges, remove the reactor core from its Heavy Water facility at Arak, export the overwhelming majority of its Low Enriched Uranium stockpiles, not build any new enrichment facilities, and not reprocess any spent fuel. Critically, Iran’s also agreed to an intrusive IAEA inspection regime and accession to the IAEA Additional Protocol, meaning that any non-compliance is likely to be detected early and for the foreseeable future (well beyond the life of the agreement). In sum, Iran has agreed to adhere to its NPT obligations. While the JCPOA is prescriptive with regard to what Iran will concede, it remains comparatively sketchy in terms of the breadth and speed of sanctions relief, and the practical implications of allowing Iran to undertake ‘limited research and development with its advanced centrifuges’. In particular, the JCPOA advises that ‘US and EU nuclear-related sanctions will be suspended after the IAEA and Iran has taken all of its key nuclear-related steps.’ This could take years, and will require Iran to take some significant and irreversible steps in the meantime. It’s unrealistic to expect Iran will do this without some concessions being made. Accordingly, UN sanctions (as opposed to US and EU sanctions) will likely have to be removed earlier and in a staged fashion. In any case, early sanctions relief is desirable as it’s crucial that the Iranian people don’t become disillusioned with the benefits of cooperating with the West. However unlike those from the US and EU, UN sanctions could prove much harder to re-impose should Iran prove non-compliant with the deal. For American negotiators, the interim agreement involves a calculated risk. In laying bare the scope of what Iran is agreeing to it’s now very hard to argue that this is a ‘bad deal’, even for long-running sceptics like myself. By allaying critics’ concerns, it should now be possible to build Congress support for a final deal. Yet it also means that any further concessions needed before the final agreement will likely have to come from the P5+1 group. Should the negotiations ultimately fail, the US will wear much of the blame, making international consensus for any new sanctions on Iran difficult to attain. The main loser is Benjamin Netanyahu, who’s been doing his level best to undermine the special relationship that exists between Israel and the United States. Netanyahu’s speech in the US Congress, wherein he attacked the P5+1 negotiations against the express wishes of the White House, is unprecedented. Netanyahu’s outright rejection of a two-state solution  and apartheid-esque warning that Arab-Israeli citizens might actually exercise their democratic right to vote  dismayed even long-standing Israeli supporters. If the JSCPOA provisions are implemented, then Netanyahu’s claim that the deal ‘paves Iran’s way to a bomb’ will seem utterly ridiculous. The broader strategic context can’t be ignored. American and Iranian interests in the region are rapidly converging This is most obvious in Iraq and Syria where there’s common cause to drive back the Sunni-dominated Islamic State, and where Iranian cooperation is needed to facilitate a permanent US withdrawal. Iran most likely sees this deal as an opportunity to further wedge the United States and Israel. After all, Israel isn’t a true US ally against Islamic State. Islamic State resists Iranian influence, distracts from the Palestinian question, and has shown little interest in attacking Israel. Israel has also proven less than loyal to the US elsewhere, for instance, by refusing to condemn Russia’s annexation of Crimea . The US is still a very long way from calling Iran a ‘partner’ in the region. Yet if the P5+1 negotiations are settled and built on, and Netanyahu continues to undermine Israel’s national interest, who knows what US relations with the Middle East will look like in another five years’ time? Crispin Rovere is an independent analyst of defence and nuclear policy issues, and co-author of Non-strategic nuclear weapons: the next step in multilateral arms control. Image courtesy of Flickr user European External Action Service.